Tammy introduced herself to listeners a mother of two boys. If you asked who are you she laughed and said that that would be a whole Podcast in itself (LOL). Really interested in all things spiritual and have been on the spiritual journey for past 10 years. Interesting inward journey. What started it, what was the turning point, something you read, the turning point to hit the spiritual pathway? Honestly, we had an Influx of money gave me an opportunity as a new mum to spread my wings really interested in health did short courses allowed myself to follow what I was really interested in and it led to a group of people which led me to do Reiki and led me onto further areas of interest. What it’s like to keep following it? When your following it and you know that it makes your heart sing and you’re just signing along makes you happy makes you feel good. Do you have a process, do you have techniques or strategies – how do you make your heart sing? What enables you to have your heart sing? Focus it different things all the time not just one thing. Feeling good and focusing on doing things make you feel good. Can’t do that all the time, focusing on feeling good. Go to do the dishwashing and try to find the benefits in it. Feel good once the dishes are done when they are completed. Finding the moments in the mundane times I suppose is a way to stay feeling good. Some days forget the feel good and the mindset of the trenches. Then the sunshine might break out there is that reminder and to bring me back to the feel-good space. When In the trenches what happens to your heart? I think you’ve forgotten about it I don’t it ever closes or goes away become less aware of it and everything else takes over a bit of wave goes overhead and forget to breathe and feel like being underwater. If I was to ask the Heart what is it like to be forgotten about? It gets a bit sad. How do we take contentment of doing the dishes – how do we carry the contentful bliss in doing the mundane? Hard when you feel you’ve found your purpose and you want to do that and you then feel driven. In this the mundane can be frustrating – for mums who stay at home there is the constant tug of doing something because you need to do it – your purpose. But there something as mothers you need to be doing but if you are following your passion you find the washing piles up, the dishes, floors need washing, the dogs got to be walked and constant pull between the two and constant balancing act. When you’re in the passion sounds like the passion is flowing? I guess time stands still in a state of just being in the moment – yeah just being in the moment. Not really thinking, out of the ego, out of your mind and probably are sitting in your heart and just feeling good. Can you describe it, hard to put words to this construct that is not easy to put words to because it’s a feeling and words can’t describe it? Words can’t describe it, know you are there as the whole body feels it, for me, I get tingles throughout my body when I am there and a lightness I feel. Is there a freedom in that lightness? Is the energy moving slowly, is it moving rapidly is it energy flowing – how would you describe the energy of it? Suppose it depends what you are doing. In meditation, it can slow down but at the same time can be moving and if I am in there long enough the body can feel like it disappears. My body and can feel like it is not there and I can feel this immense space which is very freeing is a freedom. I can feel this immense space Is that a connection to all that is? Where does the sense of self-go? Disappears somewhere into the ether I have no idea where it goes. Feels good – back to where you were before you came. Wow, it’s a powerful place. Sometimes don’t want to come out of there. How do we bring it with us? One of the threads through the episodes is the busyness we seem to forget, we allow the busyness to take over….It’s hard because society tells it great to be busy and great to be achieving it’s becoming more understood but not really understood how much is being achieved by sitting, connecting to the true place where all the answers where you can find your next step and where you can find your balance…we are getting there. In our heart, depth of heart beautiful connection that can take us beyond a sense of self to all that is. In the heart there is also the delicate part of the heart the fragile part of the heart as we have accrued wounds over the year and do we close our heart down a little bit to protect and do we and do we close our and what does the broader part do for the closed down part? Funny thinking about that before on way in meditating I felt that we never really close our heart put some boxes and walls around it to protect it around it when it’s been hurt and in mediation can take the walls away because we are safe space and now strongly heart never actually closes we are it is, in essence, an open heart. Put protection around it from the trauma and pain and suffer. When we put protection around it do we lose our power? Yeah, absolutely it part of where our power comes from. If we meet it in a different way and we drop it down into the deep reservoir nourishes and nurtures does the healing? Yes, I think so. When in this space how do connect to others do you have more energy to? – can’t help feel what the other person is feeling. More in tune with them. With my children, I need to breathe when I try to understand him and have to be in tune with him to know what is going on. If I can pinpoint in – to assist him to communicate the feeling. Dropping in and myself to really drop in there and be there – creating a space for you both. To have that space to listen. When doing Reiki are you channelling and connecting to others where do you go in that? How do you connect? For me, if I try then I block it, process of letting go and just breathing, trying to get out of my head and like imagine tuning down radio of my thoughts they are still can’t block them out but they are still there but quiet – focus on the breath and feeling. Do your hands switch on they get hot (they tingle) – they get hot, they switch on and it’s a beautiful space to be in and don’t need to physically touch the other person auric energy. Is it flowing through the heart – could be, it flows through everywhere – not sure but when we meditate we can direct it and when we meditate can cleanse the chakras through bringing light down the crown chakra. At a cellular level permeates as it is permeating are you radiating what is the connection like? When you radiating if I am in that space people around could enter and sit beside and be quite neurotic and be really in their head if I can stay in my space and if I can breathe and bring them back somewhat more of an awareness, a more conscious way of being. If they are up in their heads? Do you go there up in the head and do you lose that connection with self? Absolutely, yeah – family members are the biggest triggers. How do you recognise that you have moved out of your heart out of that light energy of being? Catching yourself when you start to feel not good, crap or anxious and chest tightens and you don’t feel good. I have practiced now for some years to feel good and more aware know not feeling good getting tension in my body and now gone into my mind and in the drama of what’s going on around you. How do you reconnect to where you need to be? Do we always need to feel good? No can’t always. How do we take the energy of feel good to the tension or the trigger to the reactions that our bodies and our being is having? When you’re in there got there yourself or someone is telling you about their day, the first thing is the breath, if you can focus on the breath and heart and bringing yourself back into the heart and slowing down the heart and still listening to the person, still giving them the space. Your checking in for where you’re at. And still feel good even if they are telling, helping them by being in your good space it’s not being dismissive checking and helping to raise them up to what they are going through. By checking in one be present to self and more present to them? 100% nice space – imagine if we can walk around like that we’d have a different world. We’d have a different world and is that possible broadening to ‘all that is – ? Not right now it’s not as we as a human being and what we need to go through. We need challenges, we need ups and downs, to be happy and times of unhappy for learning and if it was all just plain sailing we wouldn’t get anything for being here. We don’t have to like it that is my purpose to help people feel good. When there is resistance to them feeling good what happens to your energy? Depends where I am at myself really. If I am mindful and present then it doesn’t affect me – I can be sad and go through the emotion of empathy but if I am in my ego I might be more forceful there some “should” going on – if you did this, if you were just kinder to self. That beautiful heart energy there is a ground swell and it’s bouncing back hitting that wall and not being received? That’s the hard part and that hurts. How do you immerse that hurt in that ground swell of that energy from you? You really have to drop in and go there deeper and remind yourself it is not all about you and other peoples live is their life and their choices and have set back. Using the term mindful it takes me back up into the mind and I prefer to use the term Soul Mindfulness because mindfulness just takes me back up to mind and Soul Mindfulness takes me deeper and how do we keep reconnecting and go into that depth? Is there a clarity, a peace and a freedom? Yes, there is clarity how much is she singing she is singing loudly. Her soul sings I wonder doesn’t get any better than that, back at the source, back at the light – so achieveable to get there for little moments it just hard because we are human. Can we describe those moments as enlightenment imagine how to stringing them together to have longer space in it? Snippets of enlightenment not here – what resonated I go somewhere else we are here we are at school and school not much fun. Do you choose that space or that space chooses you? Both it part of duality that we are here to experience. Or is that space there and its us are we awakening up to the fact that it is there and the more we access it are we having a paradigm shift in our psyches reaching a higher consciousness. I sure you’ve experienced in those fleeting moments a higher consciousness? I really don’t know. When you’re in there what happens – where does the mind go – There is a clear space. Hard to define higher consciousness if its space, it’s in You – but not in you – hard to put into words and hard to define. Do we dissolve in it? Yeah, absolutely it is very nice. Imagine sharing that? Is it sharable – the more we share it hopefully we’ll all move to a loving space and first loving ourselves more and if we are kind to ourselves and then to be kind to family and loving friends and strangers. It exciting time to be a part of the doors are opening. We haven’t evolved this quickly since we have been here. Have to sit in the space to allow the change to happen without resisting it. Change not always easy – the ego death rebirth cycles. How do we tune into the depth of that space those minute essences of enlightenment as that will nourish and nurture. Everyone has their way of doing but it starts with the breath and follow own path. In the Podcast the moments are happening the connection and having the conversations is creating an energy shift – we have those moments the space is there – the energy is there freeing, quite liberating there is an aliveness the trick is – how do we remember to take that with us, it is in us and part of our practice do we need to let go of the old patterns of busyness. Even the patterns we have got it with us all the time there is a spot where we do it like a chair for meditation and take it with us. We just need to tap in. 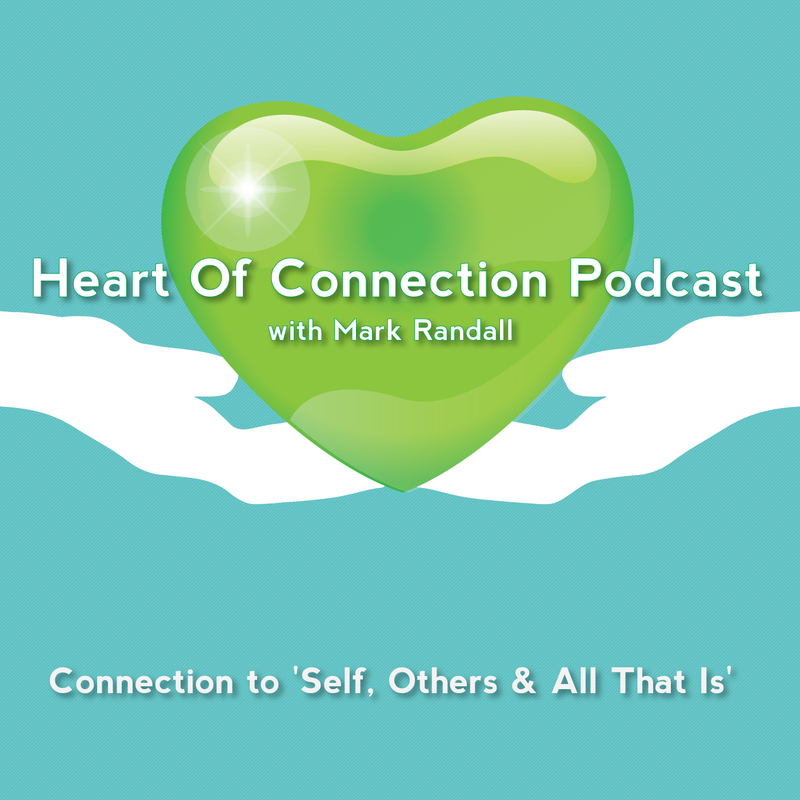 Do you have a message for others on how to connect and to stop in the busyness and reconnect to self, others, all that is? I think it just kindness to self we are all our worst enemy and just breathe when busy is the first step of kindness – start with our self.